No garden? No problem. This drinks trolley was made with urban living in mind. No matter the size of your outdoor space, Tice will keep your favourite drinks to hand when you’re entertaining. And, it looks great and is super-affordable, too. Tice has a soft-looking shape and bold colour. 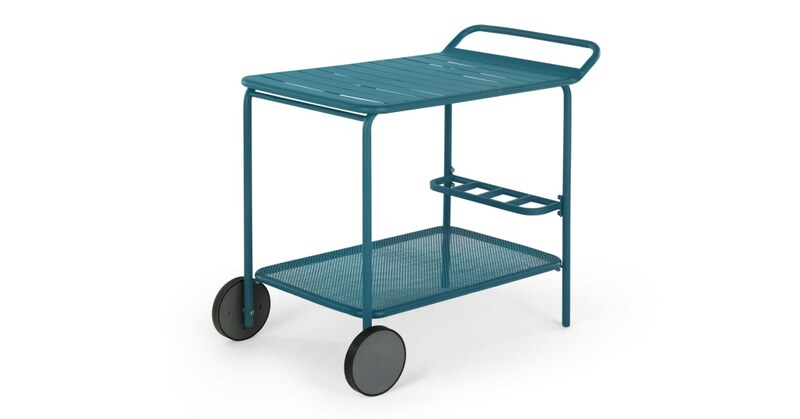 In teal it has a striking look, while the powder coated steel makes this drinks trolley ideal both indoors and out.